our fave is peach yobaby! I haven't tried any of the Stonyfield products ~ yet ~ but the raspberry smoothies are at the top of my list. Thanks for introducing me to these products. I like the Drinkable Peach Yogurt, our little one LOVES drinkable yogurts. I heard about YoBaby online! sounds yummy!! 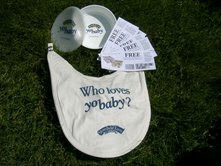 I'm a long time Stoneyfield Farm fan...I can't wait for my little guy to start on Yobaby! I first heard about this when my daughter started feeding it to her children. Now I am a fan of Stoneyfield Farm Yogurt. 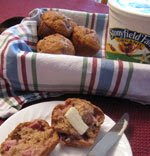 Like you- I didn't really know too much about Stonyfields Farm until my daughter was born. Now we both eat their yogurts!! I didn't know until recently that they carried a whole line of products!! I have been in search of them we we go to new stores (our little grocery dosn't carry much)! I first heard about it from a friend of mine who fed it to her kids. The Yo Baby Drinkable Banana. The smoothies sound so yummy!!! We love the YoBaby Original in Peach! 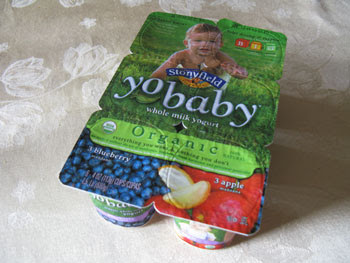 The YoBaby Plus Fruit & Cereal in strawberry banana is a great one, it has so many good things for babies and kids in it!